Eliab plodded to the top of a familiar rise. Just ahead he could see the flat rooftop of his ancestral home. Eliab’s heart began to drum in his ears, his face grew hot with shame, and sweat trickled down his back. Soon Eliab would face his father. What would his father say? Eliab would soon know the response that would determine his fate. He looked up once again to check his progress. A man was running toward him down the road. What would cause him to be in such a hurry? No sooner had the question formed in his mind than he recognized the bearing of the approaching figure. It was his father. Eliab’s knees grew weak, and not just from hunger. He collapsed to the ground in a heap, tears streaming down his face. Quick steps approached; strong arms lifted Eliab up and grasped him in a tight embrace. 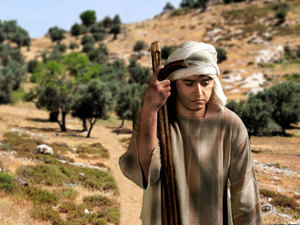 He heard his father cry, “Oh, Eliab!” And together they wept. Moments passed and Eliab steeled himself for the speech he had prepared during his long journey. Forgave him for being so foolish, squandering his inheritance. Clothed him in fresh, clean robes. Honored him with the signet ring, a symbol of authority. Loved him, pure and simple. Now I’ve never been a caretaker of pigs. You probably haven’t been either. But I’ve certainly committed my own foolish acts of selfish rebellion. Maybe you have, too. Forgives our sins and remembers them no more (Hebrews 8:12). Adopts us into his family, making us his children (John 1:12-13). Clothes us in the righteousness of Jesus (Isaiah 61:10), and God sees us as if we had never sinned (Colossians 1:21-22). Honors us (Psalm 91:15)—with his presence and countless gifts. Someday we’ll receive a crown of glory that will never fade away (1 Peter 5:4). 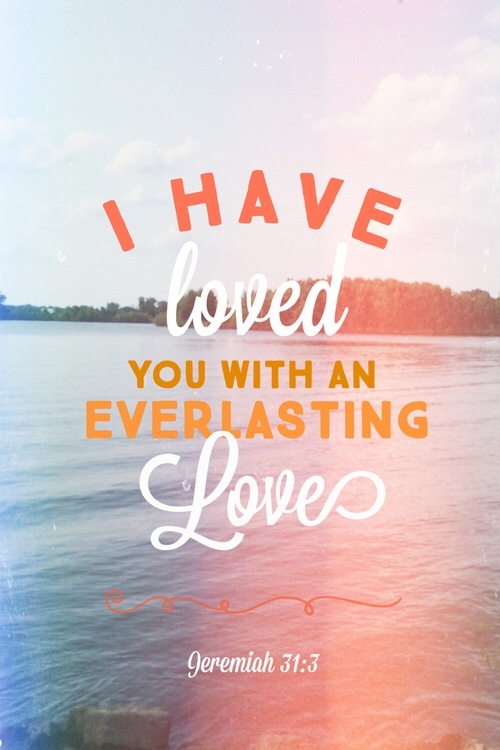 Loves us, pure and simple, for now and always (Jeremiah 31:33). 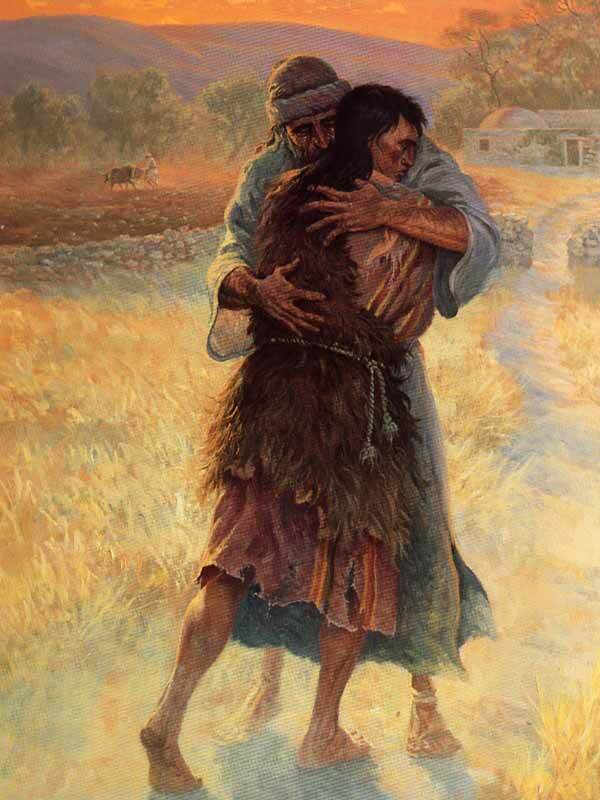 How I thank you, Heavenly Father, for taking pity on me, as the father did in the story of the prodigal son. You redeemed my life from the pig sty. You forgive my sins–every one of them. You have more than satisfied me with your goodness and faithful love. Never do I want to lose the wonder of your love and grace! Well done. This prodigal daughter is forever grateful. And what a beautiful princess of the King you are–serving your King continually with that sweet, winsome smile. You are a blessing to all you meet, Nikki! Oh, yes, Tedi–He made possible our adoption into God’s family! Nancy, the beautiful hymn “Blessed Assurance, Jesus is mine!” came to mind as I was reading this post. Thank you for reminding us of the assurance we have from God. One of my favorite hymns, Ruth! We are indeed filled with His goodness, lost in His love, just as Fanny Crosby wrote so long ago. That post warmed my soul. I love the thought of throwing myself on God’s mercy. I am going to keep that image close. Thank you, Carol, and praise God for his mercy! That Jeremiah scripture is so powerful. God is good….amen! I remember coming across Jeremiah 33:3 when I was in my 20s. (Perhaps I’d heard it as a child or teen in Sunday School or VBS, but it apparently hadn’t resonated with me.) To think that God Almighty loves ME and always will–in spite of my faults and failings–well, it was mind-blowing. Still is! wonderful insight to one of my favorite bible stories. Love the drawings too. Can’t you just feel the Father’s arms around us? Oh, yes! One of the blessings of writing is learning more and feeling more–even within a familiar topic. 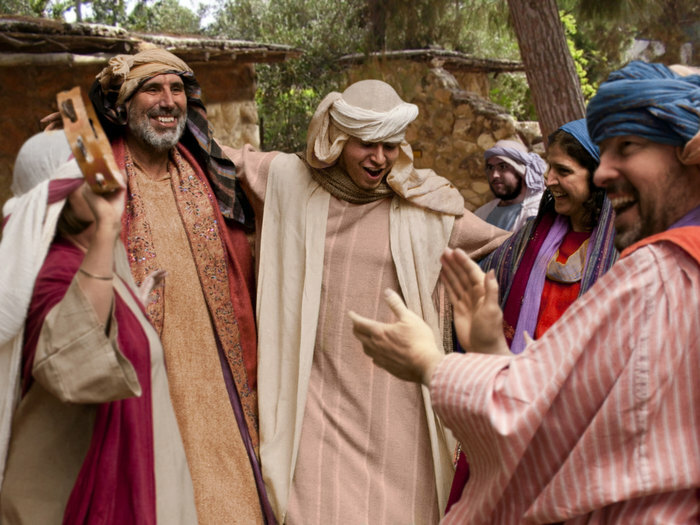 As I contemplated this well-known parable, I was struck once again by the mercy of this father who allowed an impossible debt to be swept aside, and then even more astounding, HONORING his son! Such incomprehensible love and grace! Nancy, what struck me in particular is your reference to Hebrews 8:12: “Forgives our sins and remembers them no more.” Of course, like everyone else I have l been ‘wronged’ by people throughout the years. I have learned to forgive…as He has forgiven me. The BIG difference, though, is that while I try to ‘forget’ while forgiving…the hurts linger still…not continually…but on the fringes of my mind and heart. But HE ‘remembers them no more’! What a wonderful gift from our Savior…to remember my confessed sins no more, allowing me to reboot/restart with a clean slate! How blessed am I! Beautifully said, Cheri. And your observation about hurts lingering on the fringes of our minds and hearts is so true. They’re like mosquito bites that we mustn’t scratch, or they just become worse. But in disciplining ourselves to leave them alone, we develop strength of character!